"Scream" was and will always define the revitalization of the slasher film genre during the late 90's. In fact, most yuppies (if not all of them) would probably remember the iconic grim reaper mask and the creepy garbled voice of its antagonist Ghostface. While some would probably hate "Scream" because it gave rise to countless kill-all-the-teens slasher films, we do think "Scream" is worthy enough to be considered as one of the all time classics. Now, after a decade of silence, Ghostface is finally back to bring the fear to a new generation. Catch the exclusive first official trailer of "Scream 4" after the jump. With all of the original cast being back for the fourth film, nostalgia and heart-pounding suspense mix in a volatile cocktail of action and drama. Definitely, this is a screener starting day one. 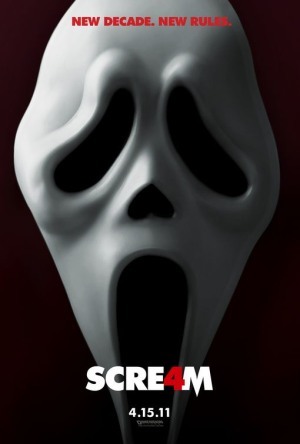 "Scream 4" is slated to be shown starting April 15, 2011.